Day 63 – I am grateful for an afternoon of singing with rehearsals for our May concert now underway. Day 64 – I am grateful for the little crazy moments that make me laugh. 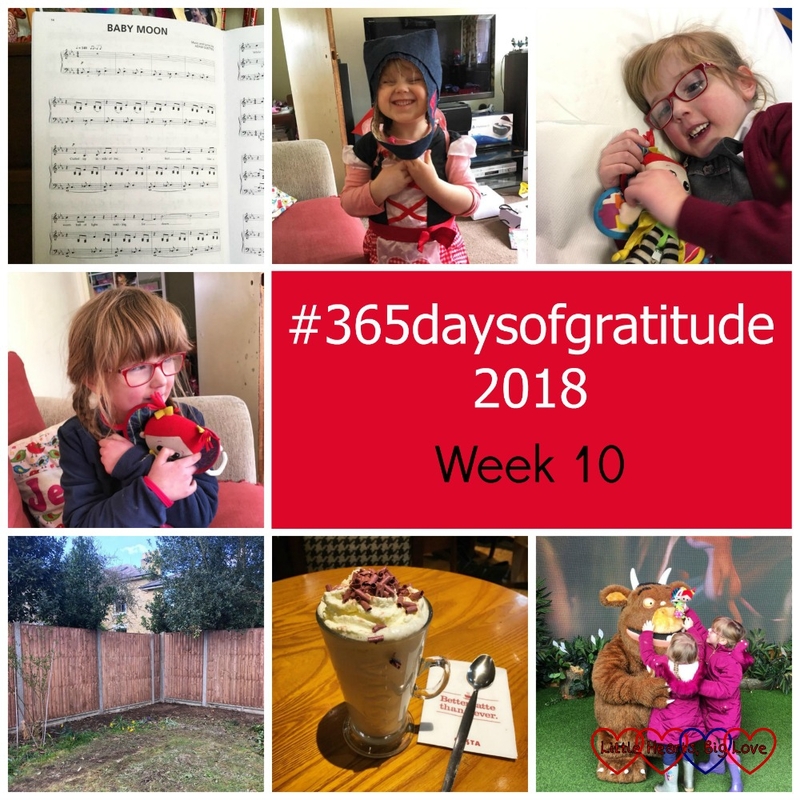 Day 65 – I am grateful to be home again after an unexpected afternoon in hospital getting my big girl checked over after she had a breathless episode at school today. Day 66 – I am grateful that Jessica has been reunited with her Kerry again. We couldn’t find her last night at bedtime despite searching high and low. Jessica was certain she had brought her home; I wasn’t so sure as I couldn’t remember seeing her after we’d left the restaurant at the hospital. We had a replacement Kerry which Jessica was happy with, but it was sad to think that the original one was lost. This afternoon I noticed a rip in the sofa bed lining. Kerry was in the gap between the sofa frame and the lining. We now have a very happy little Jessica with her Kerry back again and Sophie gets to have her own Kerry too! Day 67 – I am grateful to finally have a new fence three years on from when half of the old one blew down. Day 68 – I am grateful for a little bit of me time. Day 69 – I am grateful that we managed to get tickets for the pre-season annual pass weekend at Chessington and that the girls had such a fun day out.